Here are seven startups that offer fascinating products and will face the probing gaze of discerning judges. What makes PitchfestNW so exciting? If the winners of TechfestNW's startup competition over the past two years are any guide, it's the way startups both local and international seek to solve real-world problems while hopscotching the changing fortunes of the market. The 80 companies that were chosen among the more than 200 applicants for this year's PitchfestNW 2018 — April 5 and 6 at Portland State University's Viking Pavilion — comprise the largest pool to date. They represent industries ranging from health care to food, IoT, travel, AI, personal services and more. Startups will pitch in two different rooms on Thursday, April 5 to panels formed from 25 investors, venture capitalists and executives who'll judge viability and potential. The top five will present on the main stage Friday, April 6, when a panel of judges will choose a winner. MilkRun connects consumers directly with "farmers, bakers, butchers, makers, foragers, chefs and other small producers." thereby removing the grocery delivery middleman. Leeks, ribeye steak, chocolate milk and honeycrisp apples are among the offerings. Bright.md offers a virtual physician assistant tool, named "SmartExam," which enables online exams for low-acuity conditions like colds, thereby reducing office visit costs and saving time for patients and doctors. According to Bright.md's website, it cuts the cost of medical visits by 80 percent, "while providing high-quality care your patients will love." Verdical invented a sleek, space-efficient modular vertical garden that uses low-cost LED lights for year-round indoor growing of "leafy greens, herbs and microgreens." Growing a vertical garden year round is now "as easy as inserting seed pods and pushing a button," its website says. Tali created a voice-driven productivity assistant that works with Alexa, Google Assistant and Cortana — and connects with legal industry software platforms like Clio, Rocket Matter and Practice Panther. The idea is to help lawyers and other harried professionals easily track billable hours with "friction free time tracking." BladeRunner Energy seeks to provide "energy when you need it" with biomimicry, i.e. adapting nature's designs to solve human problems. Its affordable, scalable "micro-hydro solution" harnesses the power found in the natural flow of water with flumes and rotors in the water and a floating platform, battery, electronics and generator. Hooke Audio says it has "reinvented" headphones, providing professional audio recording quality wirelessly with the first bluetooth binaural "3D Audio" microphone and proprietary technology. "Specially placed mics" located near each ear "allow you to capture sound like you actually hear it." Goodnuss produces "the world's first reusable mess-free nut milk bag," with which you can make nut milk at home. "Why milk your own nuts?" its website asks — a very good question. The startup says doing so offers a healthier, more sustainable option for people who have moved away from dairy. Also, the milk "totally comes out of an udder cap." 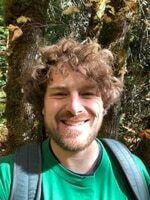 These winners will seek to join Madorra, the winner of last year's PitchfestNW. Madorra makes a non-invasive, non-hormonal ultrasonic device to relieve post-menopausal vaginal dryness. 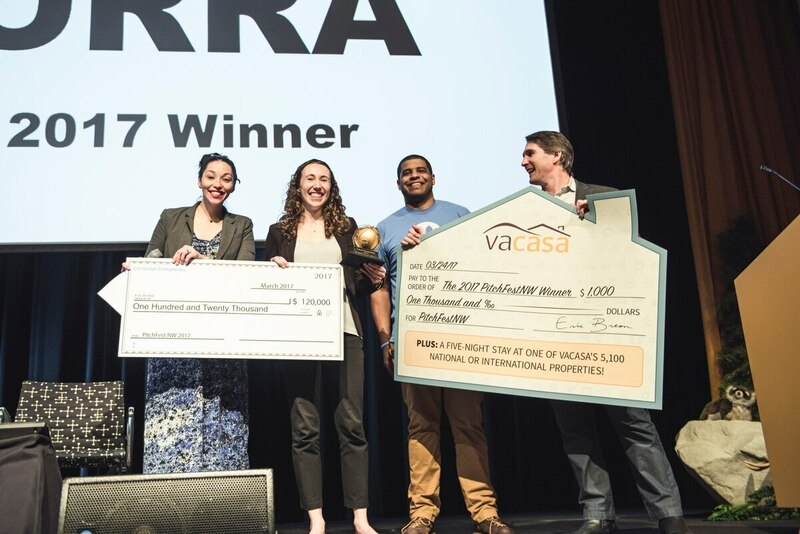 After winning Pitchfest 2017, Madorra went on to win $200,000 at Angel Oregon.